Reinforced long life series: the hot forged parts, as well as hardened and ground pivots and bushings make this series suitable for heavy duty loads and a long operating life. 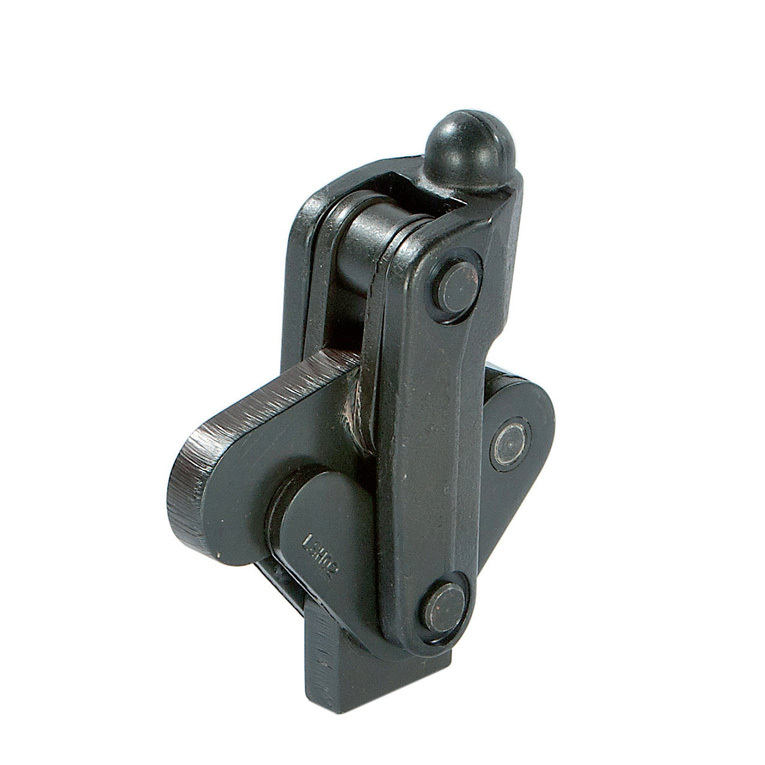 Toggle mechanism: the accessories such as clamping arm and control lever, can be welded according to applications for use. Peculiarities and advantages : • The clamping and control levers are forged. • All pivots are hardened and ground and flow into similar bushings. • Red, ergonomic and oil resistant handles. 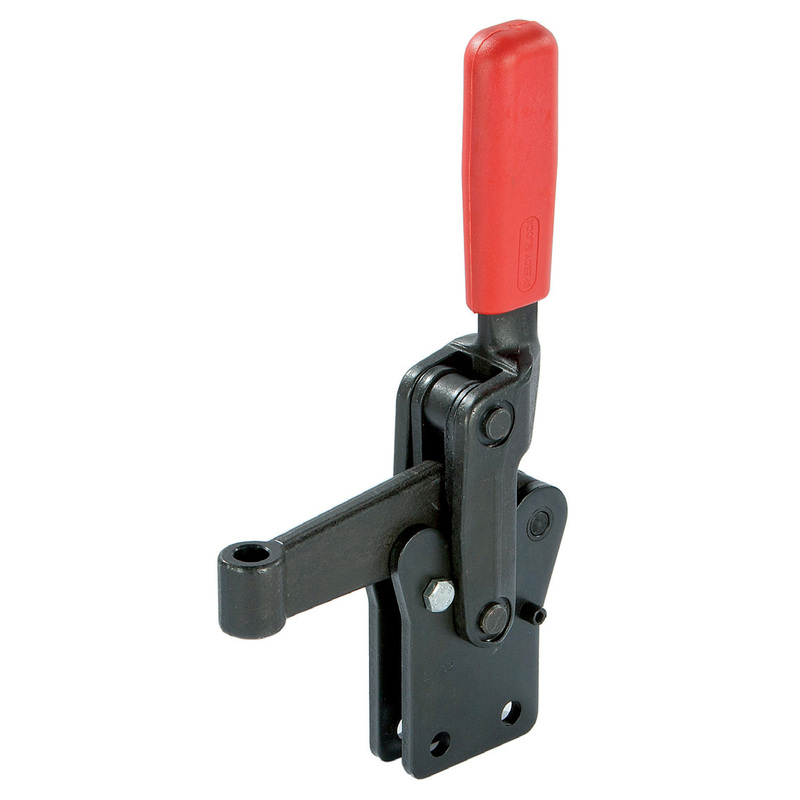 • The clamping arm guide is adjustable. Applications : For uses in medium and heavy duty clamping works, on welding jigs, carpentry works, moulds and generally when high clamping forces are needed and when there is strong repetitiveness of movements. Toggle mechanism: Same peculiarities and applications as the previous vertical reinforced series. 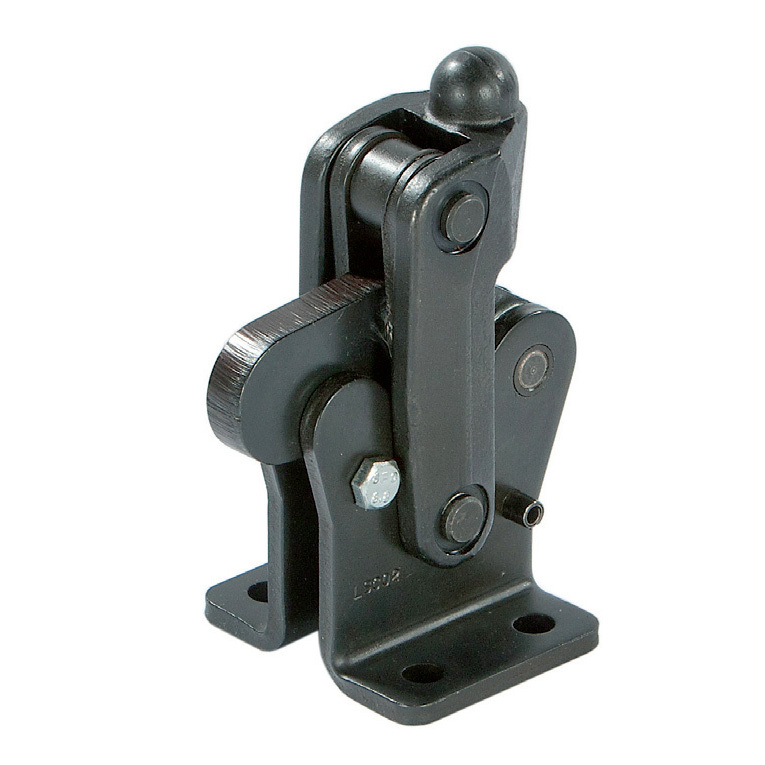 The design of these mechanisms is more versatile, being possible to weld the different parts and accessories and make up your clamp to better meet the requirements for all types of clamping needs. Reinforced vertical series with folded base. Performance: Form A with open clamping lever and two flanged washers. Form E with eyelet clamping lever to insert the spindle. 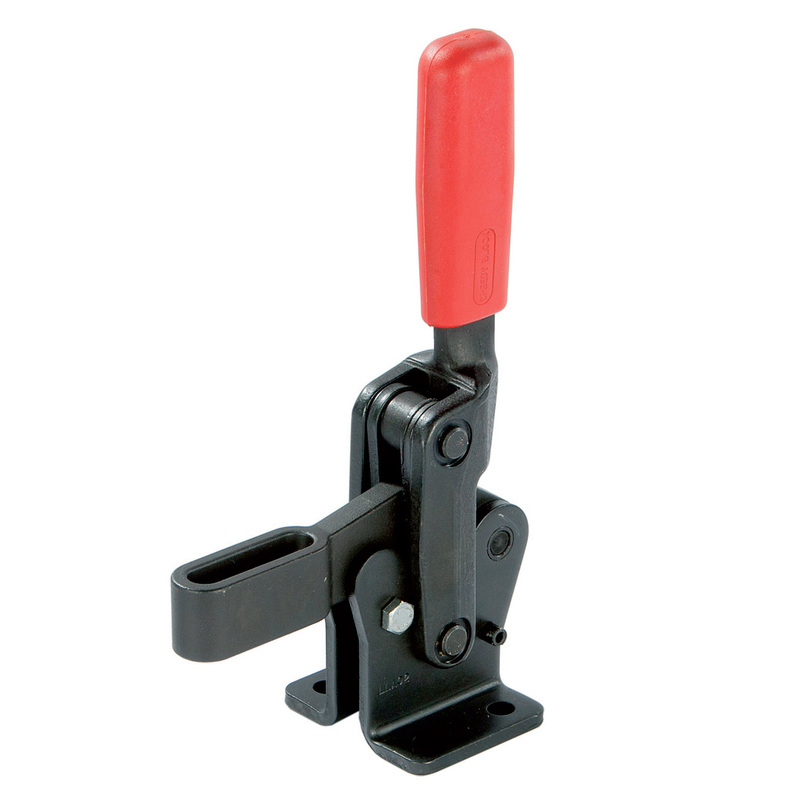 Features and applications:The clamping levers and control levers are forged; the guide of the clamping lever is adjustable. 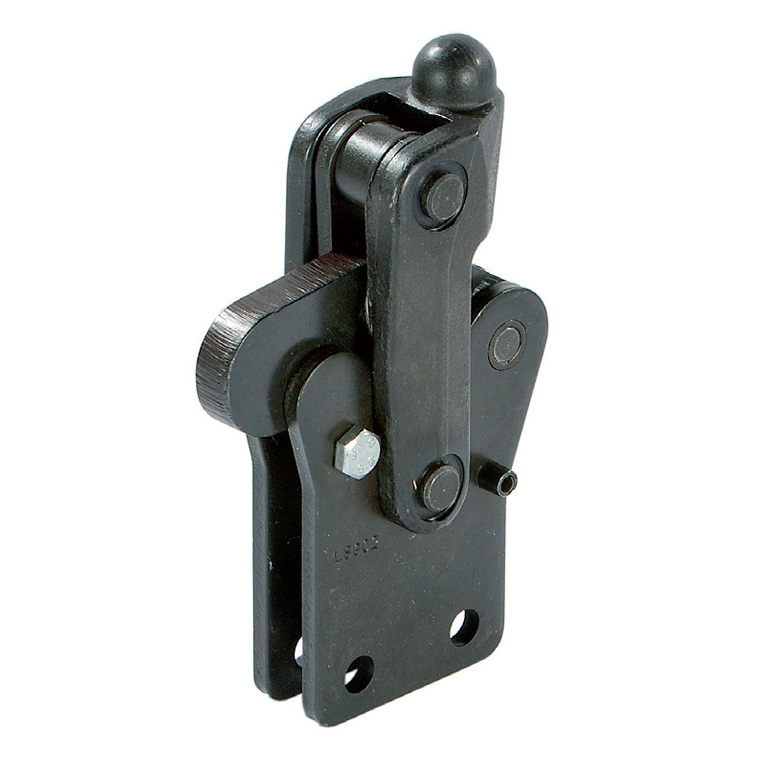 This series is usually used for medium and heavy duty clamping works, on welding jigs, carpentry works, moulds and generally when high clamping forces are needed and when there is strong repetitiveness of movements. Reinforced vertical series with Straight base. Performance: Form B with open clamping lever and two flanged washers. Form F with eyelet clamping lever to insert the spindle. there is strong repetitiveness of movements. The design of these mechanisms is more versatile, being possible to weld the different parts and accessories and make up your clamp to better meet your requirements.